Mulberi are committed to uncompromising quality and outstanding design! Go elegant, romantic, nostalgic, urban cool, grand or funky. The choices are definitely yours with these gorgeous Mulberi cushions. 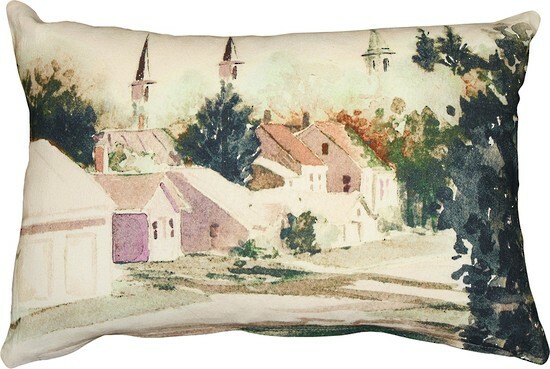 This cushion features a beautiful Tranquil Village design.